My son just spent the week at a Nike Tennis Camp at James Gardens, which is a fantastic camp located on the Humber River, with four tennis courts, clubhouse access and nature trails. 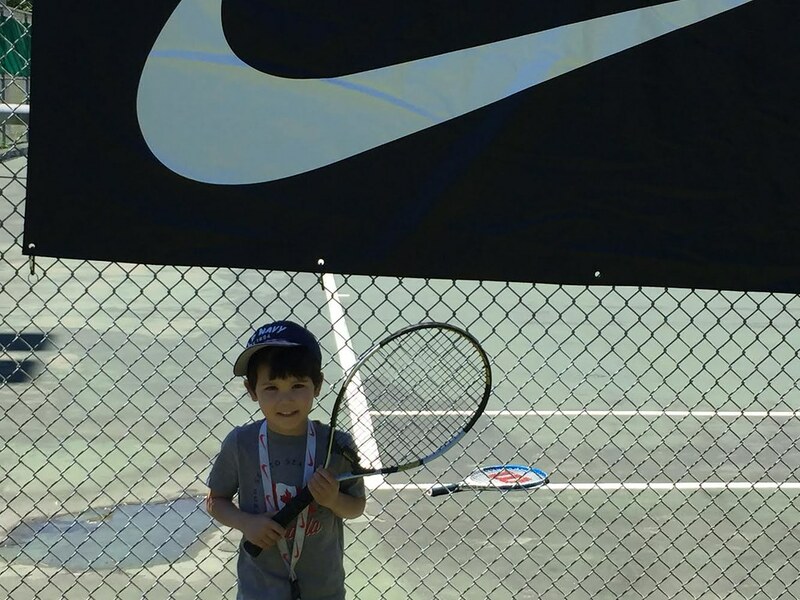 There are three other Nike Tennis Camps located in Toronto that offer a unique camp atmosphere, and are designed to help young athletes improve their game, hit a tonne of balls, and have fun! Sign up is still open, with weekly sessions available from July 16 to August 31. Use the code TORONTOMIKE when registering and SAVE $50 per child and per week. Here's where you go to register. 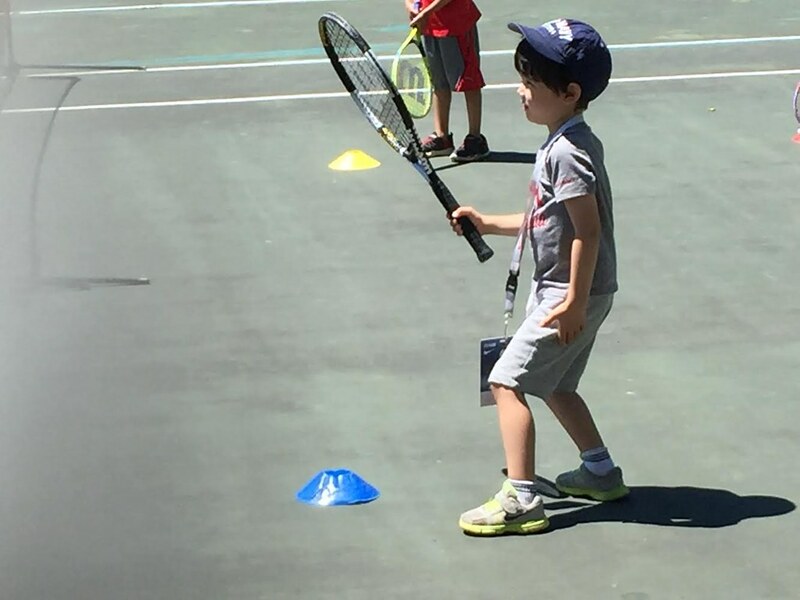 6 hrs of Multi-Sport programming daily including tennis, soccer, basketball, and more! My kid had a blast and next week's Kindergarten Camp is now sure to be a letdown for the guy. Maybe they should recruit Bouchard for the camp cuz she surely aint doing squat on the Tour. probably all sports for that matter!! I hope that kindergarten camp is equally rewarding! Haha, they couldn't find the poor kid a badge that he won't trip over? That thing is almost down to his knees! @Urooj, that is too funny, never noticed the badge until you mentioned it. I always as a kid wanted to play tennis, but being a Scarborough kid, we didn't have any courts available. We did play a version of squash with our tennis rackets on the wall at Mason Road Public School. Put many a ball on the roof over the years. Never mind the badge Isn't that racket kind of HUGE?? We used to try and play tennis when i was kid either on the courts in a nearby park or against a school wall (i guess that would be more of a squash thing) I don't recall tennis rackets being that large. I inherited a big sisters at about 7 when she left home so it was regular sized for the day. Mind you Jarvis is younger than that but still it looks so out of proportion to me. Yes, Jarvis is holding his older sister's racquet. 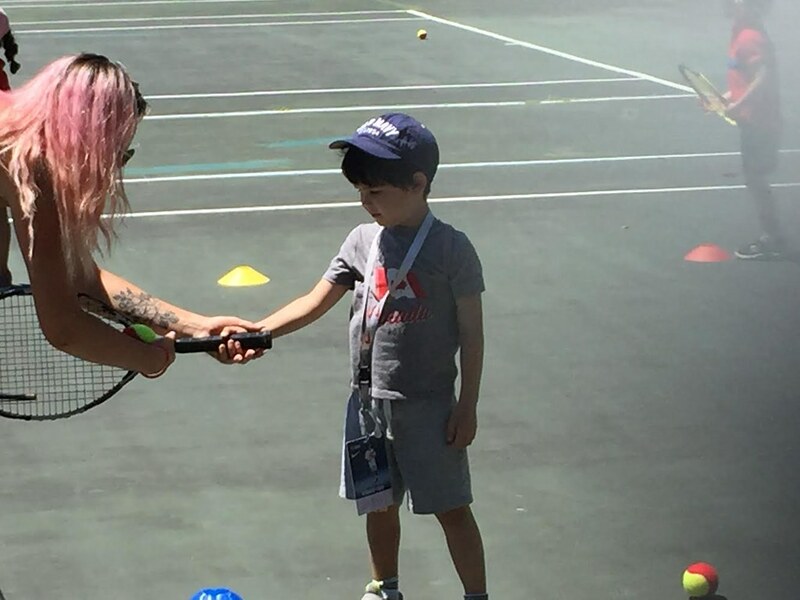 This camp had smaller racquets for the "minis".